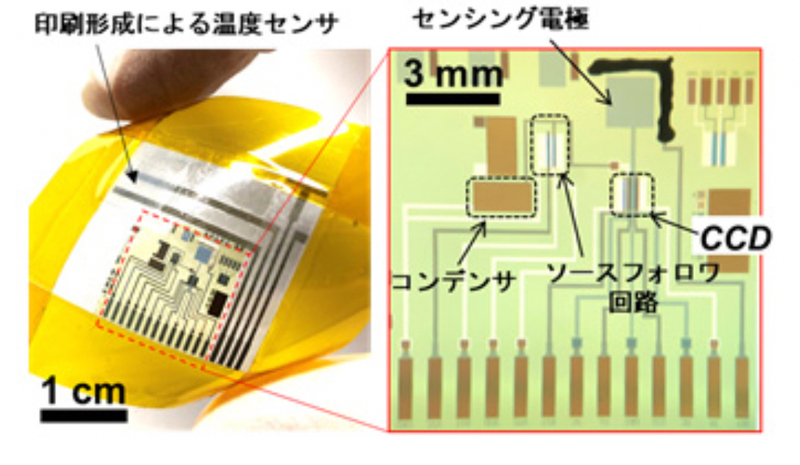 The group of Associate Professor Kuniharu TAKEI prepared a CCD structure on a flexible film creating a wearable device that could measure the pH value of sweat with high sensitivity. It also records skin temperature and thus can be developed into a daily health management tool. The charge transfer flexible pH sensor incorporates a structure that adjusts the Schottky barrier of the transistor material and the electrode. It also contains a flexible temperature sensor which corrects the electrochemical data. Sensitivity was 4 times higher compared to commercially available pH sensors, and pH value in sweat could be measured constantly for about 1 week by sticking the sensor to the skin like a bandage.